Both the 2019 Volkswagen Tiguan and 2019 Kia Sportage offer incredible features, and as competitively capable mid-size SUVs, they share several common attributes. However, they also drastically differ in more ways than one. In this comparison, we at Metro Volkswagen will show you in detail how the VW Tiguan vs. Kia Sportage stack up against each other when it comes down to performance, interior space, and features. Shoppers near Irving, Grand Prairie, Grapevine, and Dallas should read ahead to learn more! As you can see, you’ll need to upgrade to the Sportage’s available 2.0L turbocharged DOHC engine to enjoy the same amount of power. Unfortunately, this will make your fuel economy in the Sportage even less efficient; with this available drivetrain, it’ll drop down to an EPA-estimated 20 city/23 highway MPG. If you’re on the hunt for an SUV, interior space is likely at the top of your list of priorities. 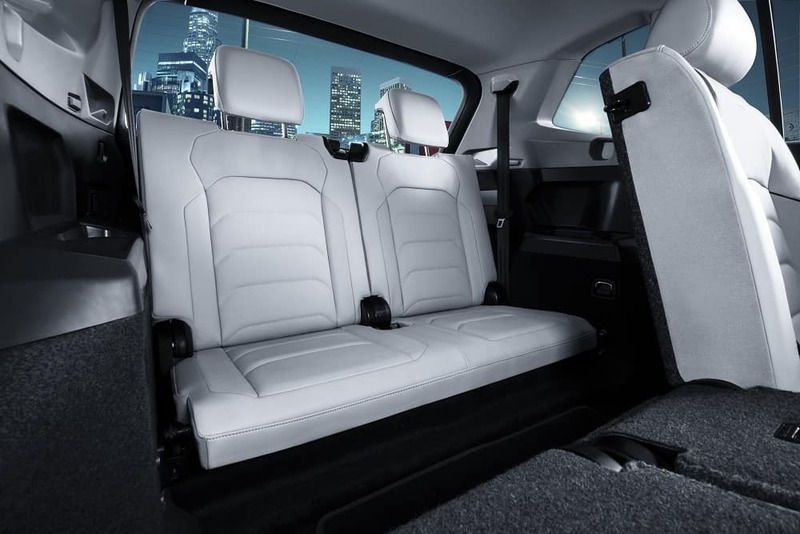 Luckily, when it comes to passenger and cargo space, the 2019 Volkswagen Tiguan has you covered with seven spacious seats and plenty of cargo room. With all five rear seats folded down, the VW Tiguan sports a whopping 65.7 total cubic feet of cargo room. Fold just the third row down and you’ll have the perfect cargo-to-passenger ratio with 33 spacious cubic feet of cargo space to take advantage of. Choose to keep all seven seats in place, and you’ll still have 12 cubic feet of cargo room. The 2019 Kia Sportage, on the other hand, offers just five seats. Additionally, the Sportage only provides you with just over 60 total cubic feet of cargo space, meaning not only will you have less seats to work with, but you’ll also have less cargo space. On top of being powerful, efficient, and comfortably spacious, the 2019 Volkswagen Tiguan is packed with all kinds of advanced features. This model boasts an 8-inch touchscreen navigation display that both talks and listens. Use voice commands to use this system for making hands-free phone calls, accessing your favorite smartphone apps, and getting turn-by-turn directions wherever you go. Additionally, the VW Tiguan sports a wide range of advanced active safety features, including Blind Spot Monitoring, a 360-degree Overhead View Camera (Area View), and Pedestrian Monitoring. The latter feature helps you detect both vehicles and people that may be in your path to help prevent all kinds of accidents. 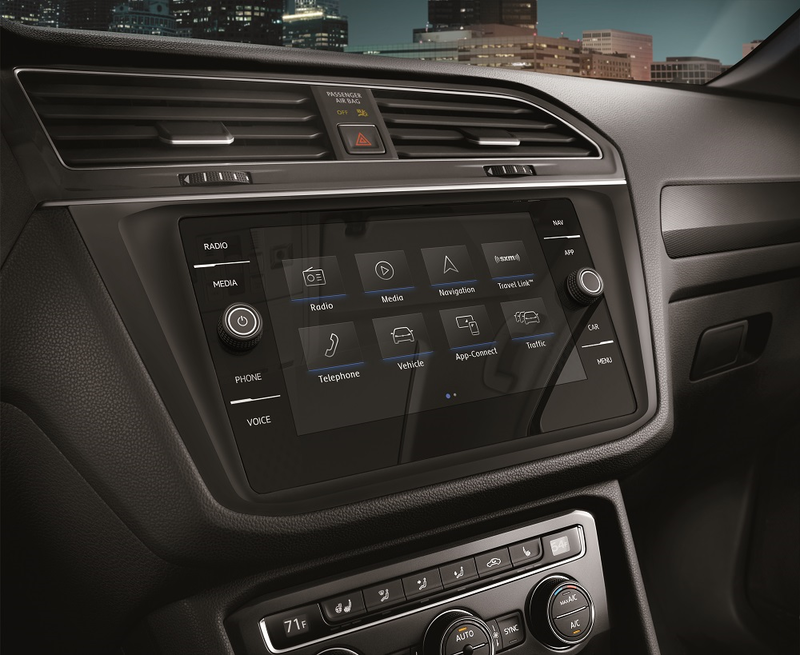 As for the 2019 Kia Sportage, you’ll have access to an 8-inch touchscreen infotainment system with voice commands. However, this system is only standard on the Sportage’s top trim level, while the VW Tiguan sports its large infotainment system in almost every trim. Additionally, you’ll miss out on many of the advanced active safety features offered by the VW Tiguan, including Area View and Pedestrian Detection. 2019 VW Tiguan vs 2019 Kia Sportage: Which One? As you can see, the Volkswagen Tiguan comes out on top in every possible way. 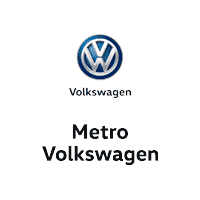 Shoppers throughout Irving, Grand Prairie, Grapevine, and Dallas can get a closer look at this impressive SUV by taking it for a test drive at Metro Volkswagen. Give us a call today to schedule your test drive! 1 22 city/29 highway MPG (2019 VW Tiguan 2.0L, 8-speed automatic transmission). EPA estimates. Your mileage will vary and depends on several factors, including your driving habits and vehicle condition.